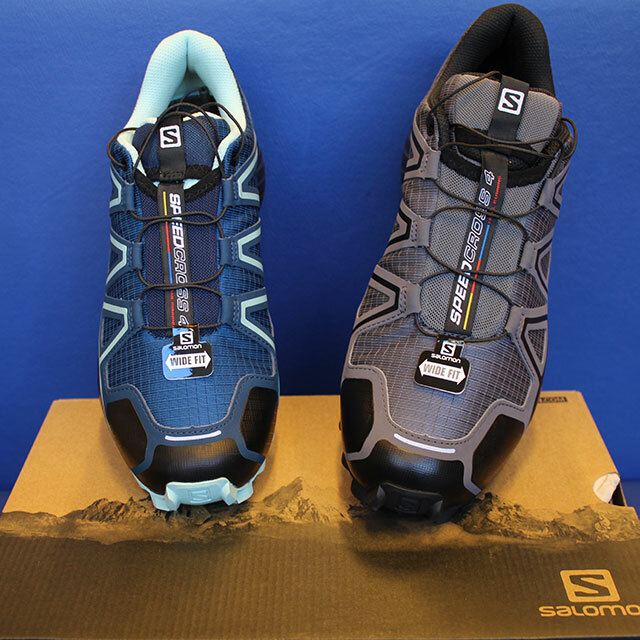 In a nutshell: Classic off-road trail shoes for muddy and hard-packed trails. Outsole: One of the main changes from Speedcross 3 is the Contagrip outsole. The classic 6mm deep chevron lugs give excellent grip on muddy woodland trails and steep, muddy, grassy hills. The latest Contagrip rubber seems to give excellent grip on wet rock too (though as all trail and hill runners know, it is hard to find something totally “bombproof” on wet slabs of rock on a fast descent!) The chevrons are two directional – forward-facing at the forefoot and rear-facing below the heel – to allow maximum traction for both ascending and descending. The lug pattern has also been tidied up, so only full lugs, strategically placed, fit on the outsole. A big improvement on previous models where sometimes half a lug right on the edge of the shoe would sometimes disintegrate and sheer off fairly quickly. 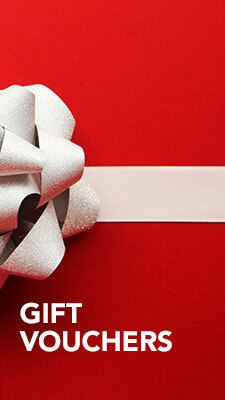 Midsole: EVA midsole for great cushioning. 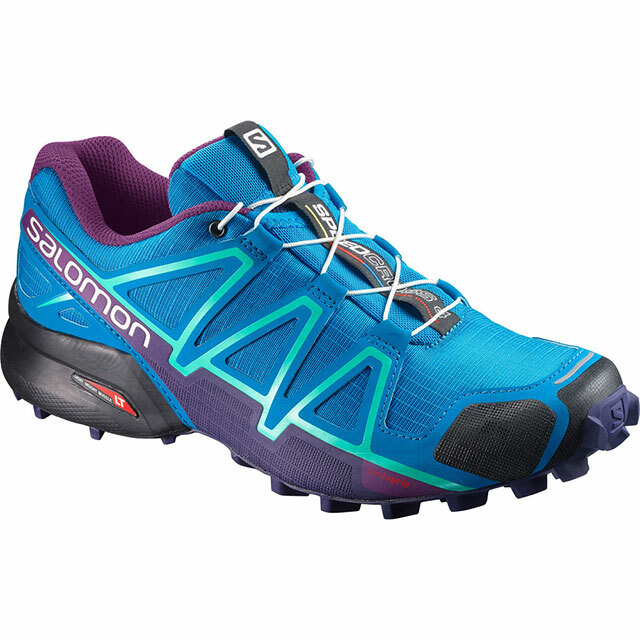 With a stack height of 30mm in the rear and 20mm in the forefoot, it has more than enough cushioning to protect on long or short outings, on hard pack trails. Upper: Little has changed here. Still one of the most solid toe boxes around for great protection. Strong rip-stop mesh upper for durability. A gusseted tongue to help prevent trail debris getting in the shoe, and the renowned wee shoe pocket at the top of the tongue to keep laces neat and tidy. Speed lacing system together with the traditional “stripe” overlays either side, make for a wonderful snug fit around the mid foot. Same strong and padded heel collar also holds the ankle incredibly well. 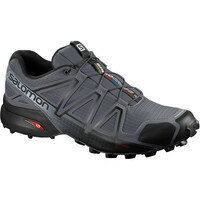 Lots of good solid features, as mentioned, make the Speedcross good value for the trails. 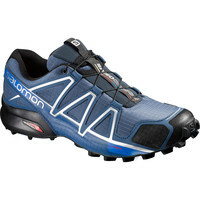 Good enough grip to tackle the muddiest and steepest terrain, and enough cushioning for anything from 10k to 100 miles. 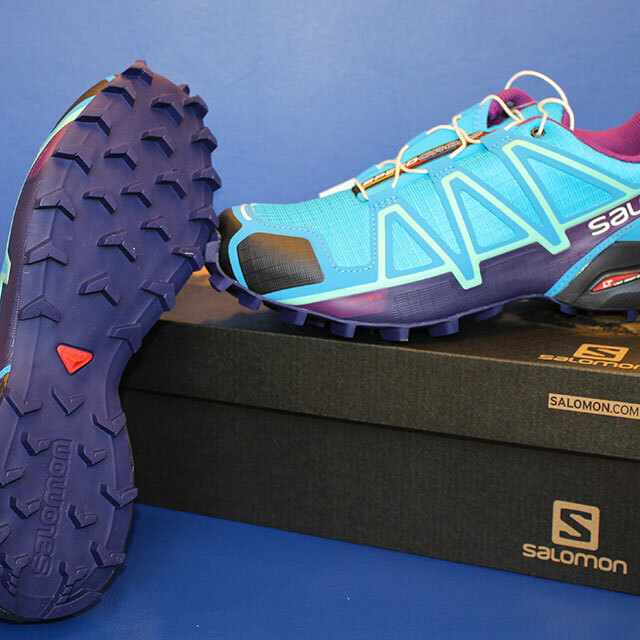 The wide fitting option now available in both men’s and women’s models is already proving popular with runners who have struggled to find a comfortable wide forefoot up to now. With a 10mm differential between heel and forefoot (drop) it is a little high at the ankle for some runners who enjoy that low profile, close to the ground feel. 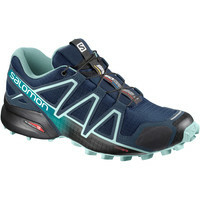 The Salomon Speedtrak with its 6mm drop may be a better option. The 4th edition of this classic shoe has proved a winner. Evolution here rather than revolution has ensured continuity with progress. 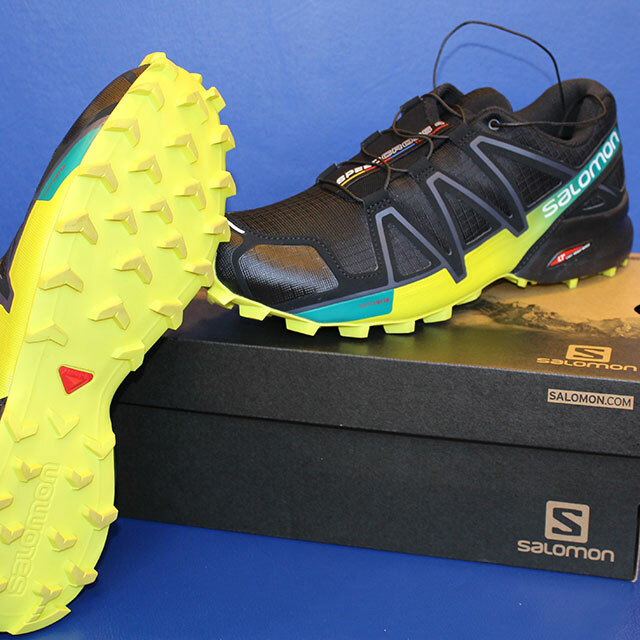 Previous Speedcross users will love the small improvements, and anyone looking for a solid durable all-round trail option that offers good cushioning and support, put it in the mix when you’re looking for your first or next trail shoe. I live and run in the mountains of northern New Mexico where the trails are composed of large rock, roots, and loose rock. I have not found a shoe where the lugs are up to the challenge. 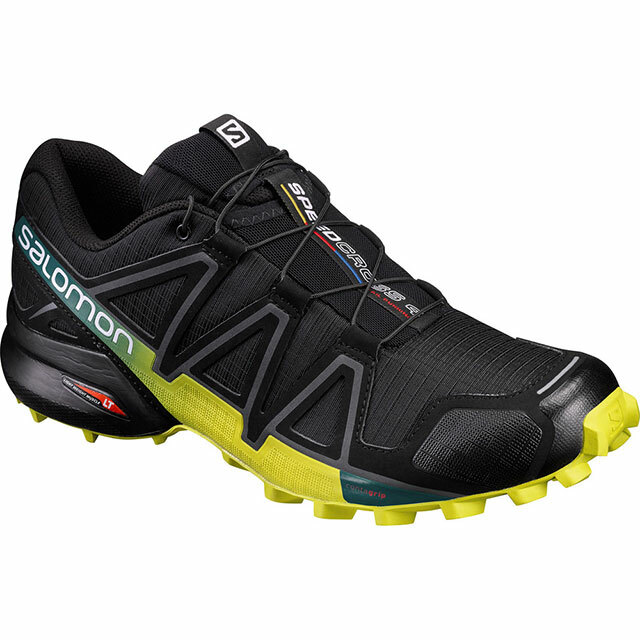 Salomon’s SpeedCross 3 lasted less than 100 miles and now I’m experiencing the same with La Sportiva. I only weigh 130 lbs so it’s not like I’m applying a lot of pressure. Anyone have any recommendations for long-term durability? Thank you.